Currently, Andréa examines the impact of genetic markers of neuroinflammation on imaging outcomes of Alzheimer's disease. She is recipient of a Ciência sem Fronteiras (CsF) scholarship. Tharick is current working with the earliest clinical manifestations, metabolic and morphologic abnormalities underlying Alzheimer’s disease pathophysiology. Tharick is specially interest in models to predict disease progression using the interface between amyloid pathology and neurodegeneration in two different cohorts (ADNI and PREVENT-AD study). 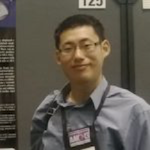 Min Su (Peter) Kang is a Ph.D. candidate who is currently working on the development of translational neuroscience framework, in which investigates the effects of amyloidosis in Alzheimer’s disease (AD) spectrum using multimodal imaging techniques and fluid biomarkers. Min Su (Peter) utilizes Positron Emission Topography (PET), Magnetic Resonance Imaging (MRI), Cerebrospinal fluid (CSF), and plasma to characterize the relationship between amyloidosis and various pathophysiological processes observed in AD spectrum using McGill-R-Thy1-APP transgenic rat model and Alzheimer’s Disease Neuroimaging Initiative (ADNI) database. Joseph is a PhD student working on biomarker modeling of Alzheimer’s disease, with a focus on Positron Emission Tomography. The goal of Joseph’s research is to understand what proteins become abnormal in Alzheimer’s disease before people develop symptoms, and how these proteins are related to genetics and brain function. Camille administers psychometric test for an ongoing observational study. Peter Kunach is an M.Sc. student who is currently working on understanding the relationship between alpha-synuclein and tau pre-Formed Fibrils (pFFs) using Stereotaxic Intracerebral injections in wild-type Fischer 344 rats and the TgF344-AD rat model. 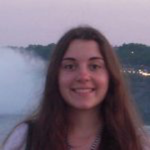 Marlee is originally from Nova Scotia and has recently completed her medical degree through McGill University. She has joined the research lab of the McGill University Research Centre for Studies in Aging to complete a Master of Science in Experimental Medicine over the next year. She will work under the supervision of Dr. Pedro Rosa-Neto to look at the brains of people who have variations on the usual first symptoms of Alzheimer’s Dementia, called Atypical Alzheimer’s. By seeing patterns in the groupings of proteins that accumulate in the brains of people with these differences, the researchers at the MCSA hope to further the understanding of the way this disease develops. Following this year, Marlee will continue her post-graduate medical studies in the field of Radiology. 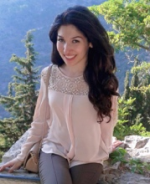 Rim is research assistant at the McGill University Center for study in Aging (MCSA) under the supervision of Dr. Pedro Rosa-Neto and a master's student in biomedical sciences. She has a strong interest in social and medical intervention, particularly through research and prevention. 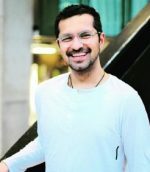 Haseeb is currently completing a B.Sc in nursing at McGill University. He is a clinical research coordinator and examiner for assessing dementia and it’s biomarkers. 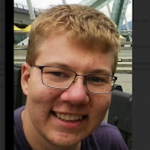 Jordan is an undergraduate student at Polytechnique Montreal in Biomedical Engineering. His role at the MCSA is to update and improve the P.O.N.D.E.R. project which is a free program aimed at preventing Neurodegenerative Diseases such as Dementia, Alzheimer’s and Parkinson’s. 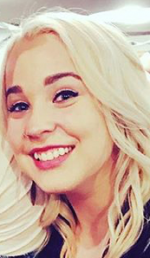 Carley is presently completing Bachelor of Nursing at McGill University and is a research nurse at CrossRoads Pavillion. Sarah is completing a Bachelor of Commerce in finance at Concordia University – John Molson School of Business. She is presently working with all outreach activities of the Centre and preparation of events. Firoza is currently investigating possible associations between behavioral symptoms and Alzheimer's disease pathophysiology in both healthy and clinical populations. She is completing her degree in neuroscience at McGill University. 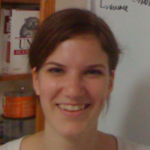 Sarah is an undergraduate student in psychology at Université de Montréal. 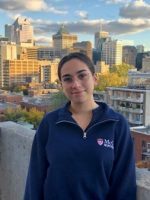 Following her interest in neuroscience, she joined the MCSA in September 2017 where she works as a research assistant under the supervision of Dr. Pedro Rosa-Neto. Miloudza is completing her bachelor’s degree in psychology at Université de Montréal and is a research assistant at CrossRoads Pavillion. Monica worked on volumetric analyses to compare anatomical differences between wild-type Wistar rats and McGill-R-Thy1-APP Alzheimer's rat model. Her project focuses on hippocampal atrophy and ventricle volume comparisons between the two groups over time in order to assess longitudinal effects. 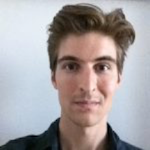 Jonathan was a Ph.D. student working with Eliane Kobayashi, M.D., Ph.D. at the Montreal Neurological Institute and collaborating with the Translational Neuroimaging Laboratory at the McGill Centre for Studies in Aging. He studied Positron Emission Tomography (PET) and Magnetic Resonance Imaging (MRI) abnormalities in epilepsy patients with rare brain disorders known as malformations of cortical development. He used radioligand [11C]ABP688 to measure the availability of mGluR5, a glutamate receptor, which mediates neuronal excitability and has been implicated in epileptogenesis. Majoring in Cognitive Science at McGill University. He was a part time summer student for the lab of Dr. Pedro Rosa-Neto. He left at the end of summer 2018 to continue his studies at Oxford University. As an undergraduate student studying Neuroscience at McGill University, Ryan completed a year long independent research project. At the lab, he used fMRI images to assess differences in the resting state network of the motor cortices in cognitively normal people and Alzheimer's Disease patients. 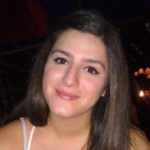 Daliah is an undergraduate student at McGill University, doing a major in Cognitive Science and a minor in Computer Science. At the lab, she uses the Freesurfer program to edit MRI scans making sure they are fit for statistical analysis. She is also currently being trained to conduct MRI and PET scans. 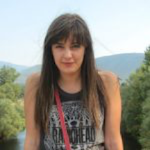 Jessica is currently a McGill University undergraduate majoring in Pharmacology. At the lab, she is working with a structural neuroimaging program called Freesurfer program to edit MRI scans, making sure they are fit for statistical analysis. Thomas is the web developer for TNL and is responsible for the creation and maintenance of numerous websites. He also creates software to make the analysis of clinical databases more accessible and easier to use for students and researchers. He is also developing GUIs to process and analyze PET, MRI, and DTI images and store them in the internal database. Sarinporn Manitsirikul recently finished her residency in neurology. She is interested in predictive biomarkers for dementia. 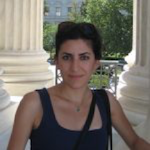 She investigates risk factors for dementia conversion using imaging biomarkers. She received a scholarship from the Bangkok Hospital, Thailand. 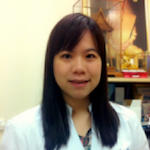 Laksanun is a neurologist from Thailand conducting research in biomarkers of Alzheimer's disease pathophysiology. 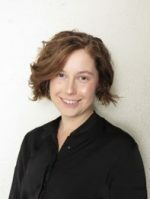 She was awarded with a StoP-AD fellowship and investigates the association among imaging and CSF biomarkers on large-scale datasets, particularly the Alzheimer’s disease Neuroimaging Initiative (ADNI). 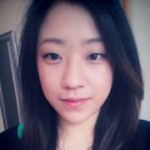 She is actively involved in the CSF sampling and analysis of the StoP-AD project. 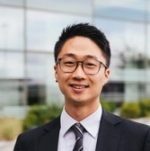 Seqian studies resting state connectivity in Alzheimer’s Disease (AD) and its prodromal stages, and explores its relations with other biomarkers for the disease. 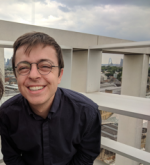 Antoine’s project aims to investigate glutamatergic neurodegeneration in Alzheimer’s disease (AD) and Frontotemporal Lobar Degeneration (FTLD) using [11C]ABP-688, a Positron Emission Tomography (PET) radioligand for the metabotropic glutamate receptor type 5 (mGLuR5). Antoine is a recipient of the prestigious CIHR Banting Scholarship. Eduardo's main interest is the dysregulation of glutamatergic homeostasis with particular emphasis on Alzheirmer's disease, and the effect of glutamate excitotoxicity on brain functions and neurodegeneration. To pursue these goals, he is currently working on the integration of behavioral assessment, basic biochemistry and neuroimaging. 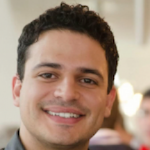 Eduardo is enrolled in the Federal University of Rio Grande do Sul Ph.D. program. He is a recipient of a Ciência sem Fronteiras (CsF) scholarship. 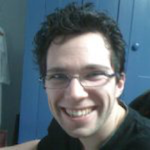 Maxime works on the characterization of animal models of Alzheimer's Disease. Using a vast array of measures including Positron Emission Tomography, Magnetic Resonance Imaging, Cerebrospinal Fluid analysis and behavioral assessment, he aims to better define the progression of Alzheimer's disease in transgenic animals. This serves both to further the understanding of Alzheimer's disease itself, and to provide tools for the development of pharmacological treatments. Maxime is a recipient of a FRSQ Doctorate award. 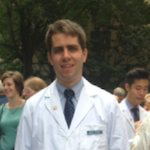 Lucas recently completed his residency in Neurology at St. Lucas Hospital, Rio Grande do Sul, Brazil. He is a recipient of the prestigious fellowship Emerging Leaders of Americas Program (ELAP). 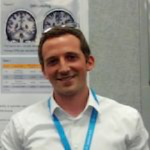 Lucas’ project aims to characterize imaging biomarkers in atypical presentations of dementia. 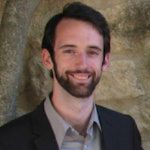 Jared developed advanced analytical pipelines for analysis of brain structure and function using Positron Emission Tomography (PET) and Magnetic Resonance Imaging (MRI). Jared developed a new methodology to extract structural connectivity using Diffusion Tensor imaging. He is currently at the SUNY Downstate Medical school, Brooklyn NY. 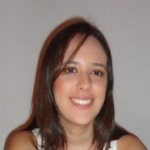 Marina is a clinical neurologist from Brazil. She participated in the StoP-AD project performing clinical assessments and CSF sampling. She was awarded with a StoP-AD fellowship. She also conducted research using the ADNI database to investigate the correlations between measures of cognitive impairment and amyloid deposition and cerebral glucose metabolism. Using structural MR and PET imaging, Sara is exploring the relationship between cortical thickness and various biomarkers in Alzheimer's disease. 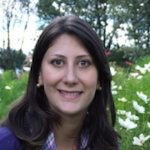 She is also involved in maintaining and updating multi-modal data downloaded from the ADNI database. 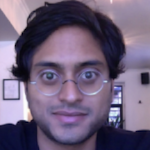 Ishan was co-supervised by Dr. N. P. Vasavan Nair and investigated the impact of yoga breathing (pranayama) and meditation on brain aging using structural and functional Magnetic Resonance Imaging (MRI). He is the recipient of the 2015 Samuel B. Hanser Visionary Award from Kripalu’s Institute for Extraordinary Living to support this project. Liyong Wu is a behavioral neurologist. 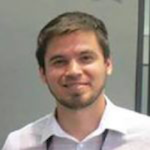 He conducted his postdoctoral studies focusing on multiparametric analysis of Alzheimer’s disease imaging biomarkers, and was awarded with the Pfizer PDF fellowship. 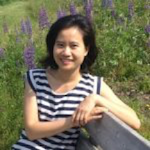 Liyong is currently an assistant professor at the China National laboratory for Neurodegenerative Diseases (CNLND), Capital National University. Liyong’s fellowship in Montreal fostered collaboration between China and Canada. TNL and CNLND are part of a CIHR/NSFC funded project entitled “Biomarker Profile of Early Onset Familial Alzheimer’s Disease”, which searches for biomarkers of preclinical AD. 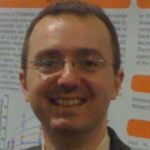 Luciano Minuzzi designed and implemented autoradiography techniques capable of quantifying mGLUR5 receptors in the human and rodent brain. 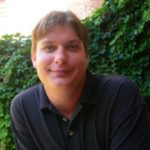 Luciano is an assistant professor of Psychiatry at McMaster's University, Canada. David Elmenhost came as a visiting scientist. 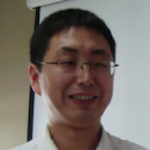 He developed methods for quantification on in vivo and in vitro neuroreceptors for mGLUR5 using [11C]ABP688. 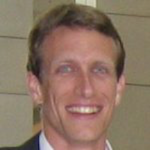 David Elmenhost is currently a scientist at Julich Institute of Neurosciences and Medicine (INM). 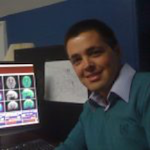 Thiago is a psychiatrist interested in functional and structural segmentation of the cingulate cortex and its potential clinical applications. He received training on the segmentation of the cingulate cortex at TNL. He is currently a MSc candidate at the University of Health Sciences of Porto Alegre, Brazil (UFCSPA) under the supervision of Dr. Ygor Arzeno Ferrao M.D PhD. Betteke van Noort carried out the experimental part of her MSc thesis at TNL. She studied association between [11C]ABP688 binding and [18F]FDG in patients with Alzheimer's disease. 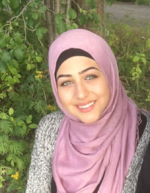 She is currently a PhD student at Universität Potsdam, CHARITÉ - UNIVERSITÄTSMEDIZIN BERLIN, CVK, Klinik für Psychiatrie, Psychosomatik und Psychotherapie des Kindes- und Jugendalters, Berlin. 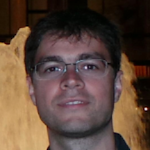 Ricardo Sode made substantial contributions on fMRI and PET methodologies in the TNL laboratory. He is Professor of the School of Medicine at Pontifical University of Rio Grande do Sul (Radiology section) and neuroradiologist at the Brain Institute in Porto Alegre, RS, Brazil. Alexandre Pinault worked on the imaging of VLUT3 mouse in our laboratory. 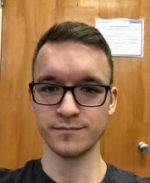 He is currently a PhD student in Jean-Pierre Hornung lab in Switzerland, working on development of brain / anxiety (hippocampus) and how "NR2B and sexual hormones modulate the morphologic phenotype of 5-HT1A deficient mice. Donghyeon Kim is a M.Sc. GIST (Gwangju Institute of Science and Technology) under supervision of Prof. Hyoung-Ihl Kim, Gwangju Institute of Science and Technology (GIST). 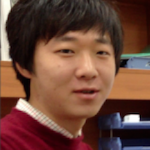 Donghyeon came to our laboratory to conduct part of his research training in microPET analysis. Aurore is a French student from Pierre and Marie Curie University (UPMC) Paris VI who came to Montreal for 7 months as part of her MSc thesis. 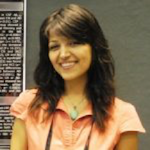 She was working in Dr Cecilia Flores' laboratory on a project studying the role of guidance cue Netrin 1 receptor, dcc. One aspect of her project was to assess whether mice heterozygous for dcc exhibited changes in mPFC volume and structure compared to WT littermates. She conducted mPFC volumetries at TNL. 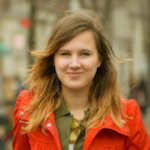 She is a Graduate School of Systemic Neurosciences student at the Ludwig Maximilian University of Munich, Germany. 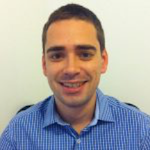 Daniel worked on a research project at the TNL from October 2012 to May 2013. He collected data at the Montreal Neurological Institute (MNI) and used the ADNI database to investigate the correlation between cerebral glucose metabolism and amyloid burden in typical AD patients and controls. 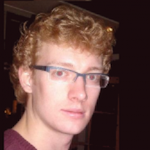 Daniel is currently working on a master’s degree at Utrecht University.